I take my holiday cards seriously. I have vivid memories of our family getting a Christmas letter each year from my dad's friend Skip. I had never met Skip or anyone in his family for that matter, but every year I raced to the mailbox looking for that letter. You see, Skip and his family worked in the peace corps and lived in Swaziland. Thir adventures and life were so foreign to me, but every Christmas, I got to walk in their shoes, even if for only a moment. When the Chef and I started our family, I couldn't wait to introduce the world to our new son. I remembered Skip's amazing letters and cards and let them inspire me to do the same. Starting in November I begin the search for my favorite card. When I first had Catcher, our card list maxed out at 50. Now the Chef and I send over 200 Christmas cards. Design, design, design! I love me so cool looking cards. Price. Obvy. We send over 200 cards and I really don't want to be financing them. Meh. 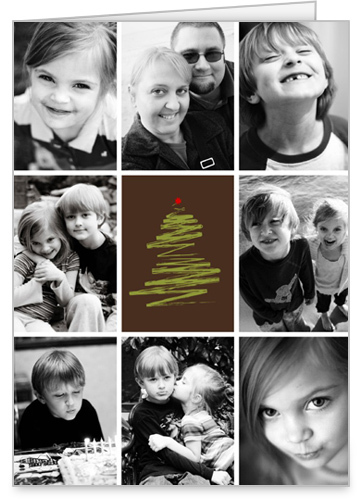 This year I have decided to use Shutterfly for my holiday cards. While perusing the interwebs I noticed that their holiday photo cards were right up my ally, gorg in design and way affordable. The only problem, is that there are so many cards to choose from, I am having a hard time picking my fave. That's where you come in friends. I need your help. I'll tell you my top three and you tell me your favorite holiday photo card. Ready? So friends, which card is Team Widow gonna be sending out this year? 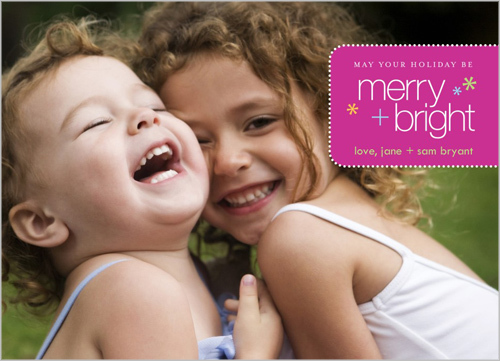 Shutterfly is offering YOU 50 free cards. Check it. All you have to do is blog about their cards. Sounds pretty good to me!